Coming from Bangor, Maine...Take ME Route 9 East out of Bangor / Brewer until you reach Spectacle Pond Road. You'll be on Route 9 for around 30 miles. Once on Spectacle Pond Road, follow the MSC signs (pictured above). Shortly after the 5 mile marker - a big rock on the right side of the road with 5M in multi colored paint (pictured above) - take a right onto Sand Beach Road. 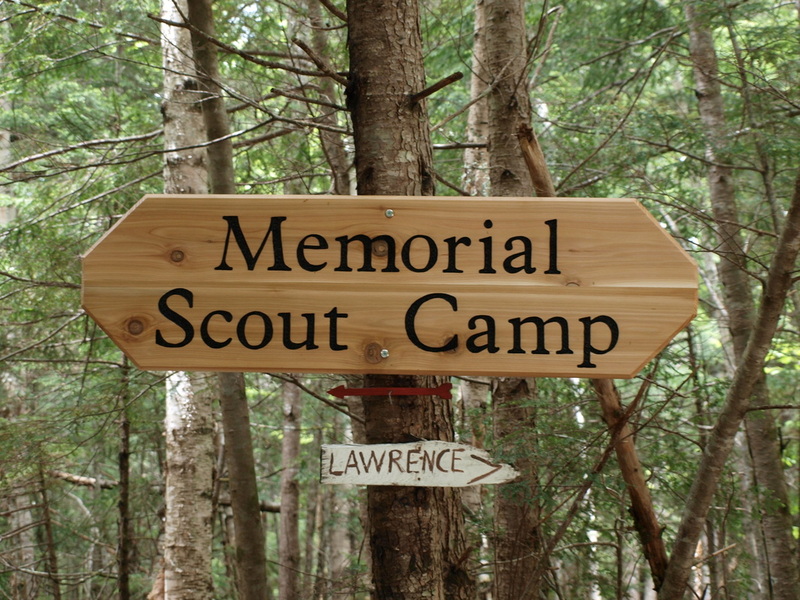 Continue down the road for about a half mile, and you should arrive at the "Memorial Scout Camp" sign on Loop Road. Take a left here and you'll be in the camp.